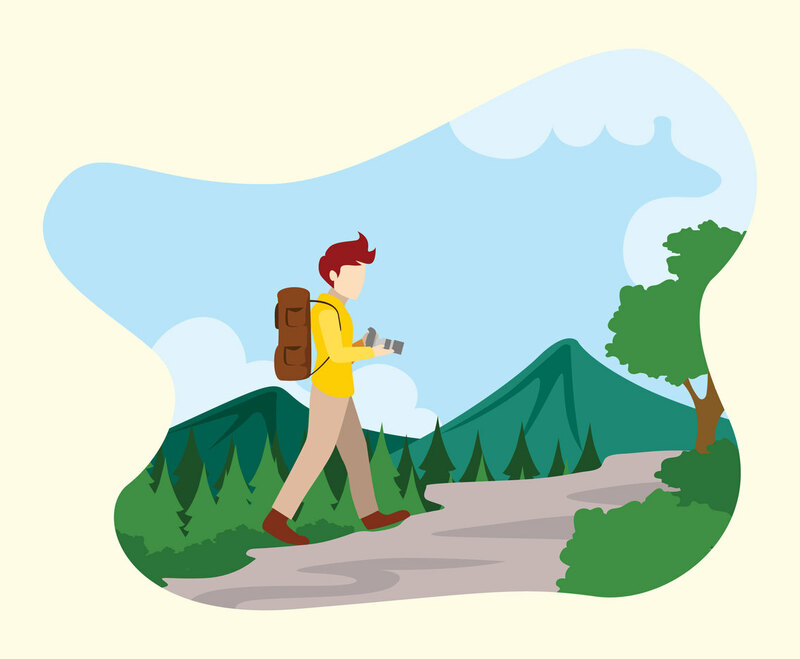 Illustration of a male character exploring nature in vector format. This character is also bringing his camera and backpack. You can use this as featured picture of a blog post about hiking or nature exploration activity.